You may already know the many benefits of buying a used car, but you might be surprised by the high-quality variety that you can find at Connors Chrysler Dodge Jeep Ram. Between the spacious designs and ultra-responsive handling systems, our used AWD SUVs are some of the most popular options for families on the go. Take a look at our current inventory below, and find your next vehicle today. Why Choose Used AWD SUVs? Customers always flock to our pre-owned SUVs for sale, but our used AWD SUVs are a terrific choice for Indiana drivers. All-wheel drive systems can handle the slick roads during a rainy day, the icy conditions during rough winters, and even the rocky trails of off-road adventures without missing a beat. It’s no surprise that AWD vehicles hold their value even better than FWD options. Plus, you can save a bundle on pre-owned vehicles on everything from sticker price to insurance fees. 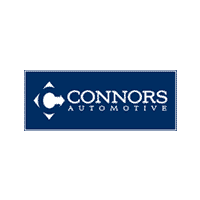 Stop by Connors Chrysler Dodge Jeep Ram to check out options like certified pre-owned vehicles and used cars under $10,000!